Terry Boyle from Cushendall has become the first Irishman (North or South), to be elected as Vice-President of one of the world’s 5 governing bodies of karate, the World Karate Confederation (WKC). 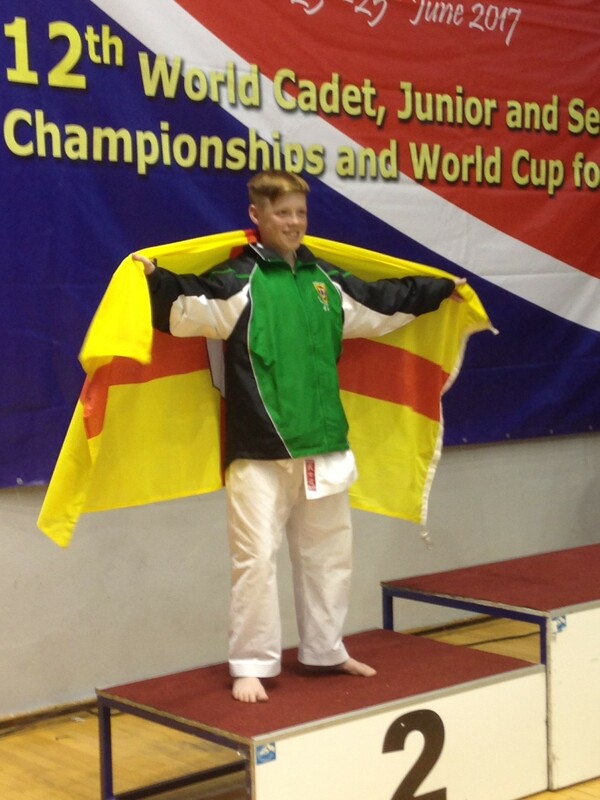 He becomes Irelands highest ranked international karate official. 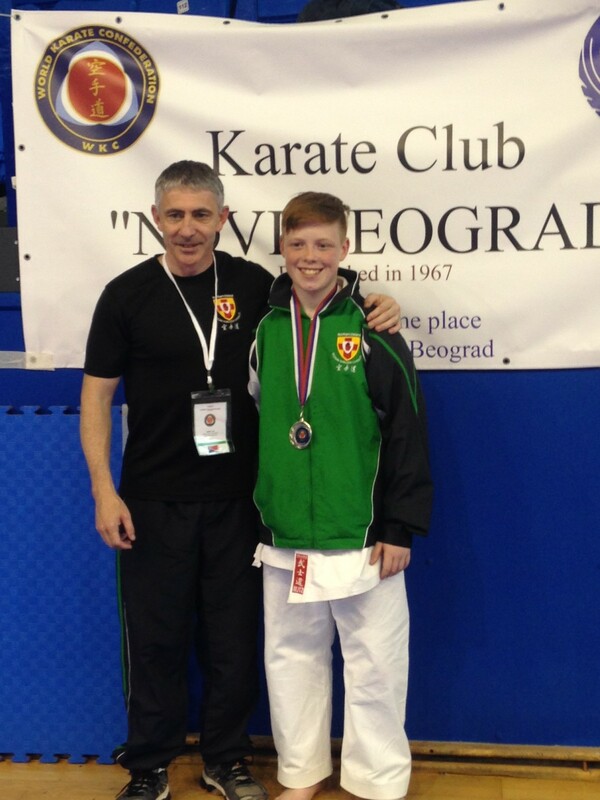 Sensei Boyle who began training in Wadoryu karate back in 1974 with the Irish Karate Federation in Derry was elected to the position on 26th June at the WKC Congress held in Belgrade, Serbia. The last 4 yearly Congress in Melbourne in 2013 saw the Glensman narrowly excluded from WKC’s ruling body, losing by 1 vote. He was elected to the WKC Presidential Board (a body which advises the President directly) two years later in Latvia. This time the Glensman was successful at the Serbian Congress with the new Executive Committee being, President Marko Nicovic 8th Dan WKF and 7th Dan JKF Wado-kai, of Serbia, vice-presidents Terry Boyle 6th Dan, N. Ireland, Dr. Viatcheslav Timofeev 7th Dan, Russia, Prof. Dr. Bruno Gilardi 8th Dan, Italy, Farkad Zhalmurzin 5th Dan, Kazakhstan, Ronald Watt OBE, ORS, 9th Dan Scotland, Dr. Swakky Rethinam 8th Dan, India and Regional President for South America Prof. Dr. Nestor Parreno of Argentina. 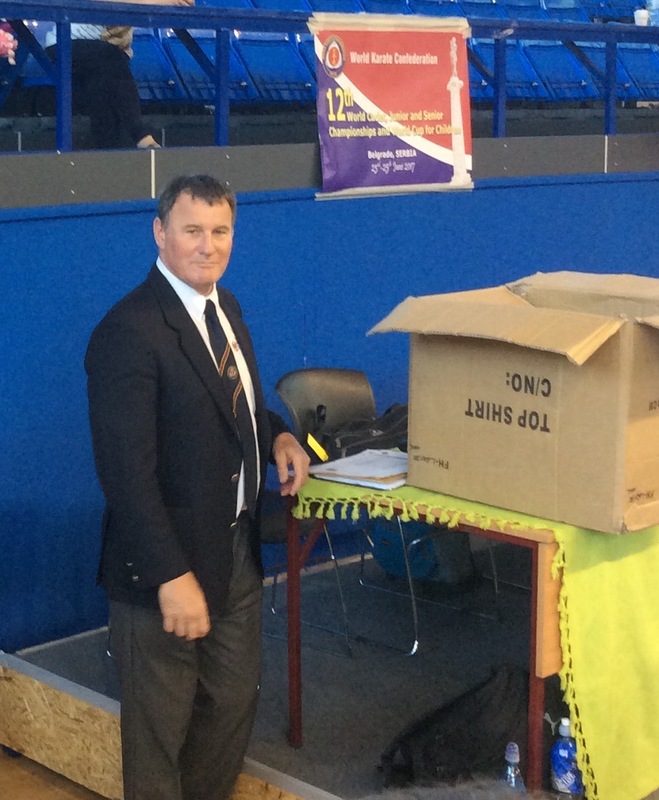 As WKC’s most senior referee, the Northern Ireland man has been in charge of WKC Referee development and training for many years and has delivered international referee training seminars locally as well as in USA, Argentina, Australia, Lithuania, Italy, Serbia, Germany, Latvia, Russia, Czech Rep. and a number of other countries. He is also N Ireland’s only qualified Federation of Wado-Kai Europe referee official. No stranger to the administrative side of national and international sport the Belfast bank manager has been one of the main driving forces behind Northern Ireland karate and the successes it now has. He has held or holds many positions including chair of the Ulster Karate Association, the Northern Ireland Wado-Kai (Federation of Wado-Kai Europe), the Ulster Karate Council, the Northern Ireland Karate Board and Northern Ireland’s biggest governing federation, Karate Northern Ireland. “As a competitor I had little chance of competing internationally such was the status and standard of Northern Ireland karate back then. Yes, I competed in British and European championships but I had to represent Wales at the time to do it. 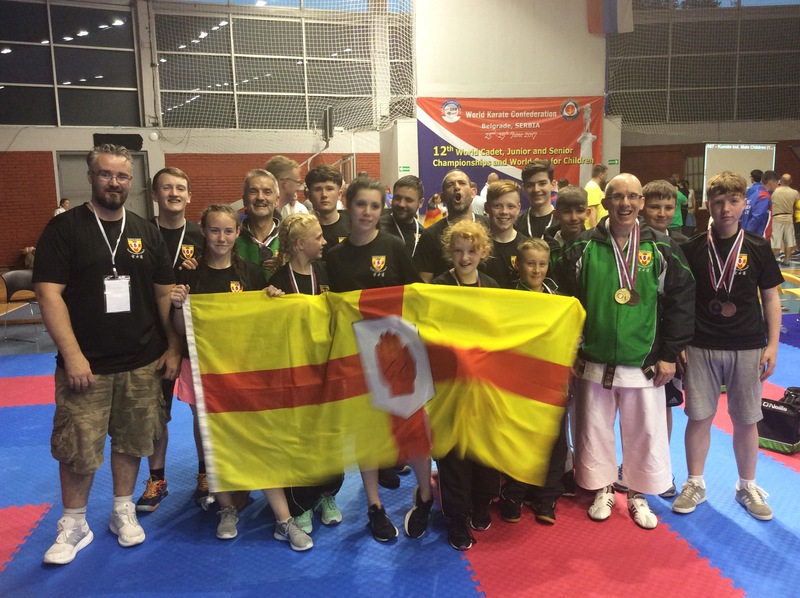 But things have changed over the years and Karate NI members are now travelling regularly throughout Europe and further afield to attend European and World championships and it’s great to see them bring back titles and medals for Northern Ireland and Ireland”. Terry continues to teach and train at UKA’s Carryduff Karate Club, bringing on the next champion and has tournaments in Rome, Paris and Minsk to attend later this year. 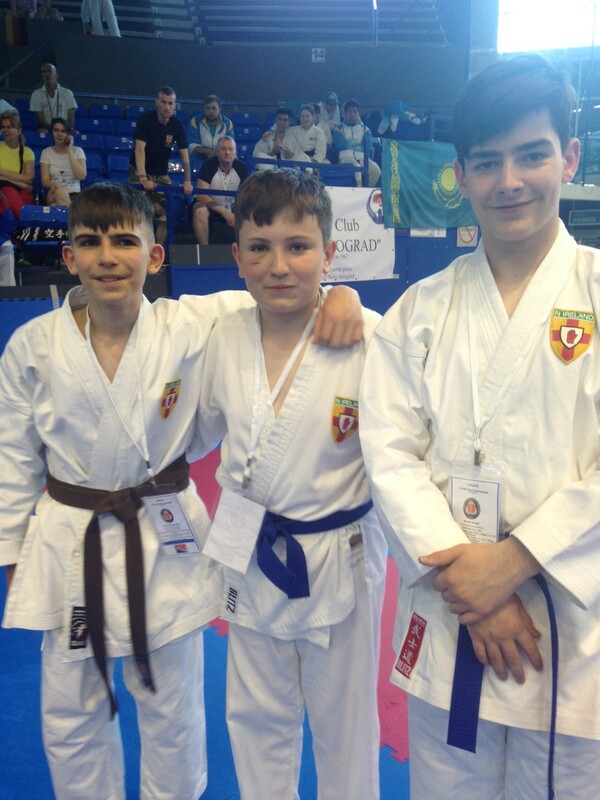 Gerard McLean of Antrim Karate Club along with two of his team mates from Dromore Karate Club, Reece Robinson and Bradley Montgomery, competed in both disciplines of Kata (form) and Kumite (fighing). Having not achieved medals at the Europeans in Switzerland in November 2016, all three boys were wanting to bring home some silverware. All three boys obtained a bronze medal in their Kata; something Gerard amd thr boys have been working hard on in recent months. Gerard was only beaten by the overall winner who performed a senior dan grade (black belt) kata. Gerards fight started well, he controlled the area, was throwing many combinations, it was when his opponent turned to avoid a combination that Gerard capitalised and scored a 3 point head kick, with all four judges raising their flags in confirmation of the points. The fight continued and Gerards opponent showed skill, determination and experience by gaining back to points to win the fight 4-3. The other two boys on the team fought extremely hard fights, with Reece fighting someone twice his size, going down one point in the early stages of the fight, and with the heart of a lion bringing it back to a draw. Reece demonstrated his tenacity of ‘it aint over until the bell rings’… very proud of how he fought. Bradley fought strong and smart, using the massive reach of his arms and legs to his advantage, keeping his opponent at distance, unfortunately time got the better of Bradley and the match was deemed a draw. Both Reece and Bradley lost their fights with their opponent being awarded victory on the majority of 3-2 from the panel of judges. All the boys gracefully accepted their defeat and held their heads high, knowing they had put in a performance, it just wasn’t their day for the fighting. All three boys continue to work hard towards the World Karate Championships in Belgrade, Serbia in June this year by attending extra training and squad sessions in Belfast, Derry and Limavady on a fortnightly basis.